← CFLs, Smart Appliances, and Even Occupancy Sensors Are Good for You? … At What Cost? Smart Meter Safety Concerns — Risk of Fire! 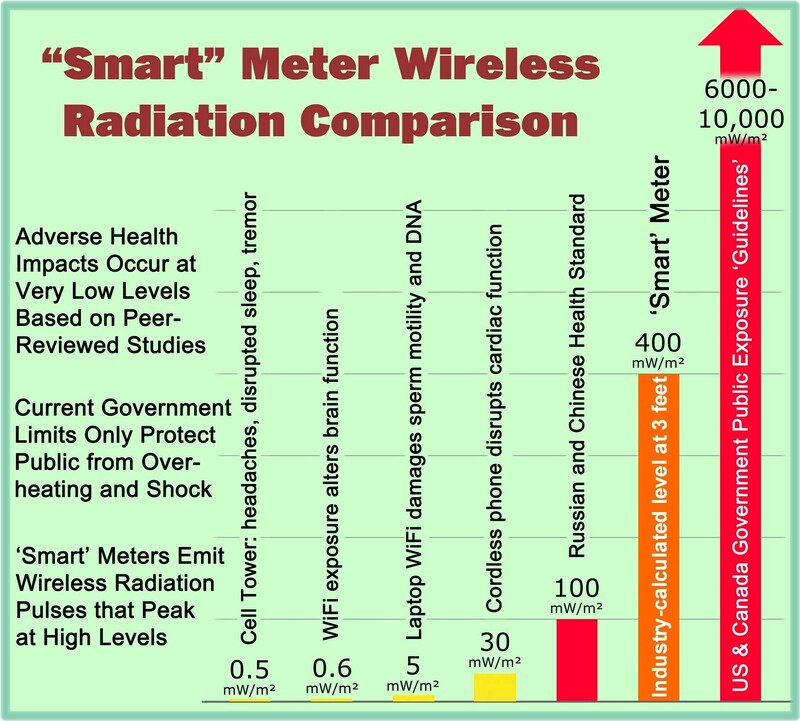 In the area of privacy, data security, and health concerns, there is considerable scientific literature, government documents, expert testimony, etc., to substantiate that there are increased risks associated with smart meters as compared with analog electrical usage meters. For the issue of fires, the evidence is more anecdotal in nature. Smart meter fires is not exactly a topic that has prompted technical research or the issuance of government reports. However, even if the problem is sporadic, if your house burns downs with a potential loss of life due to a new smart meter installation, it is an extremely serious situation. In reality, there are hundreds and probably thousands of instances where the installation of a smart meter is followed by overheating and a subsequent fire. Insufficient care is taken by smart meter installers. Socket receptacles may be corroded when the switch from the analog meter is made to the smart meter. Rather than doing a quick swap, much more care needs to be taken with an associated inspection and cleaning of the meter socket. For these types of situations, a fire might occur just because the meter is changed out in an improper manner (no matter what type of meter is involved with the swap). Some manufacturers are just making “cheap” smart meters or have poor quality controls such that a fire becomes more likely. In these cases, the risk for a fire may be more dependent on the manufacturer of the meters themselves. There is a material composition difference in the construction of the smart meters such that they operate at higher temperatures or have a lower flash point. Plus, you have the more obvious difference that the smart meter contains at least one electronic circuit board and an analog meter does not. The first two problem areas discussed above are correctable through better installations and better quality controls. But the last area dealing with different construction materials and use of electronic circuit boards is possibly more problematic and indicative of an inherent design problem. The analog meter typically has an industrial look to it, but a smart meter looks to be more of a “consumer electronics” quality. 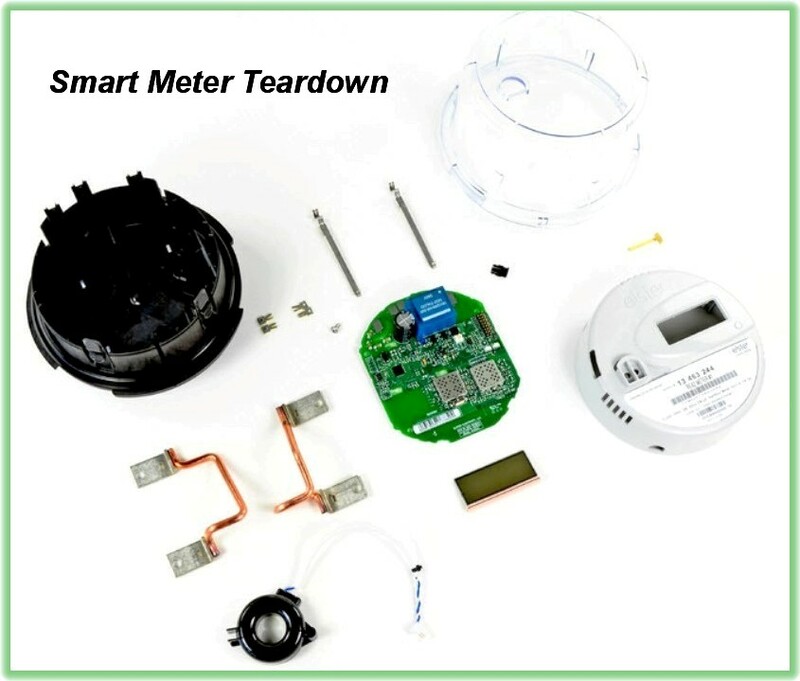 Refer to the figures for views of both types of meters during a “teardown.” Most of the smart meter device appears to be made of plastic with inclusion of a cheap looking circuit board. Part of the circuit board includes a transformer that is required to step down the incoming voltage of 240V to about 10V which further needs to be rectified to power DC components in the meter. An Australian news station did a good review on smart meter fires last year; refer to the video shown below. More recently, there is a report out of Florida in late August 2013, where “Fire Sparks Concerns about ‘Smart Meters.’” You can view a news report on this fire at the following link: http://www.wfla.com/story/23278891/lakeland-fire-sparks-concerns-about-smart-meters. “A charred electrical box is what’s left of a very scary weekend outside [a] Carillon Lakes condo in Lakeland. A spokesman at the Consumer Product Safety Commission in Washington D.C. says the agency is aware of the growing number of complaints. Although the Consumer Product Safety Commission (CPSC) could state the utility smart meters are outside its jurisdiction since they are not technically considered “consumer products” by most accounts, the CPSC is apparently accepting complaints for smart meters at this time. Thus, this is an area where if enough consumers document their concerns with the CPSC, it could conceivably have an effect on public policy. At the very least, smart meters should be required to be UL listed due to the concern for fires. This entry was posted in Smart Grid, Smart Meters, and RF Emissions and tagged CPSC, Fire, Safety Concerns, Smart Meters. Bookmark the permalink. 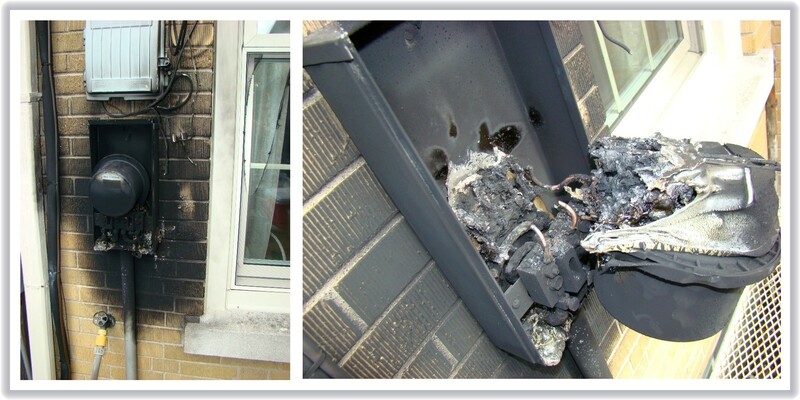 2 Responses to Smart Meter Safety Concerns — Risk of Fire! P.S. Your website is outstanding! Thank you for all your efforts. Thanks for the feedback; yes, this Florida fire is mentioned in the posting with the link. I’m just not able to embed the video into my website from that news source. It certainly is worth watching. The utilities typically say the meter was not the problem, it was the customer’s wiring, etc. But yet these fires are only reported to happen with smart meters. Have there been ANY such fires reported with an analog meter? I’d be interested in hearing of any documented fires occurring with analog meters. Something defies common sense when they [the utilities] never seem to blame the smart meter, … or the installer for the smart meter fire.